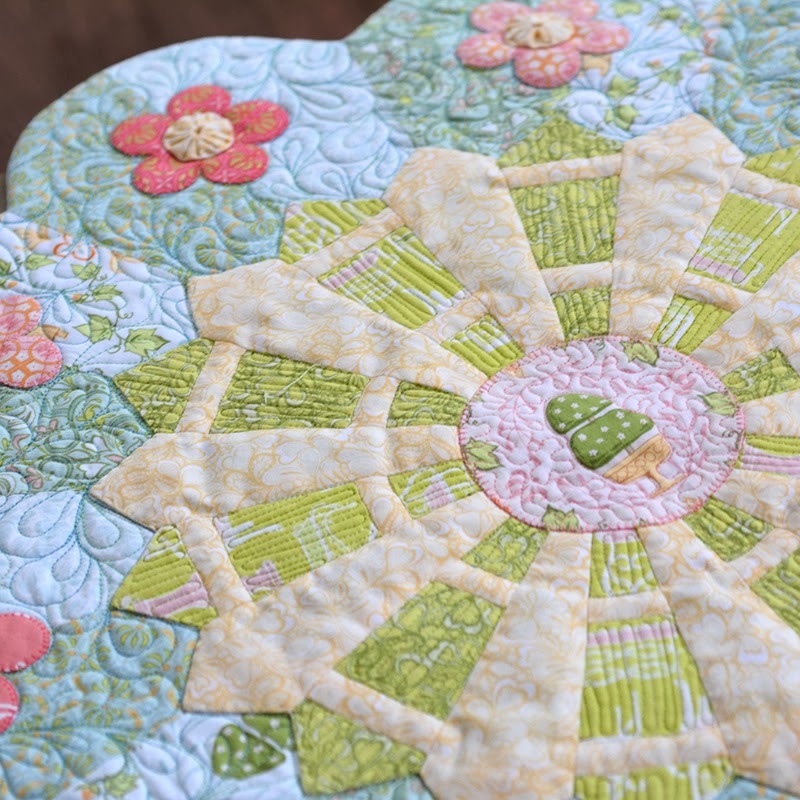 I’m guest blogging over at Blend Fabrics blog today with a free pattern just in time for spring! When Blend asked me to create a special design for this line I was sure I wanted to do something garden-related and a Dresden-style garden gate design fit the bill. If you are a shop ordering Topiary please be sure to contact me so I can add you to the list of those stocking the line on my blog! Thanks for the pattern. I love how soft and spring-like it is! Just what I needed for my little round table…perfect! I love reading your blog. Oh Amanda!! 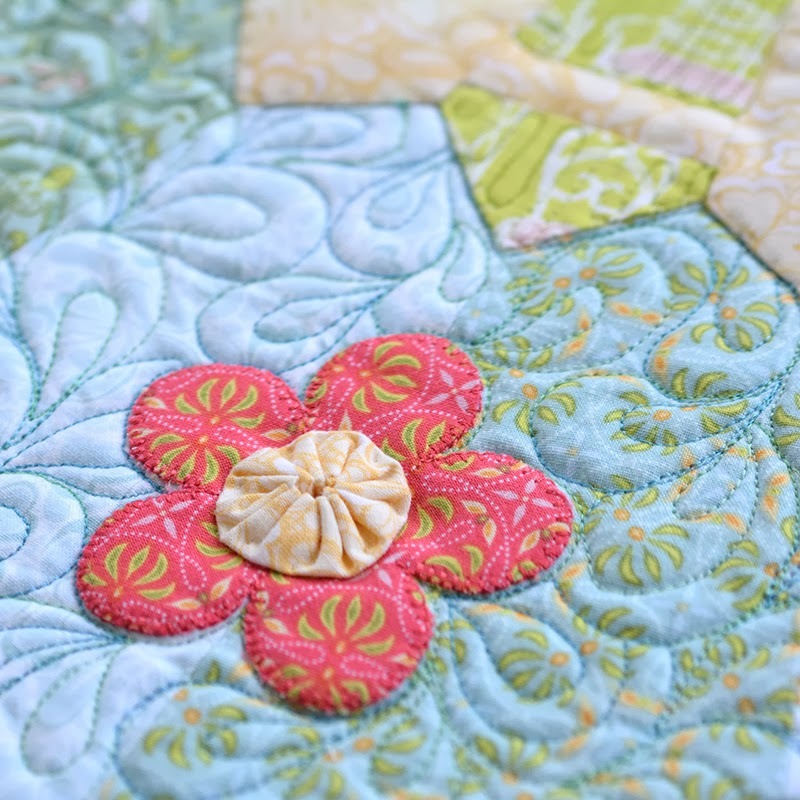 This is so pretty…love the quilting too. You are so generous; this is a lovely pattern. Thank you so much. This is so pretty! Thank you for making it free! Amanda this is gorgeous. Thank you so much for the pattern. The fabrics and the pattern are a perfect marriage. Gorgeous table topper! Thanks for the great pattern!!! I love this design! So pretty! Thanks for all the beautiful free patterns! This is a gorgeous design! I like the "in the round" shape, with the fences. And of course, I just love the little yoyos you have included in the flowers! 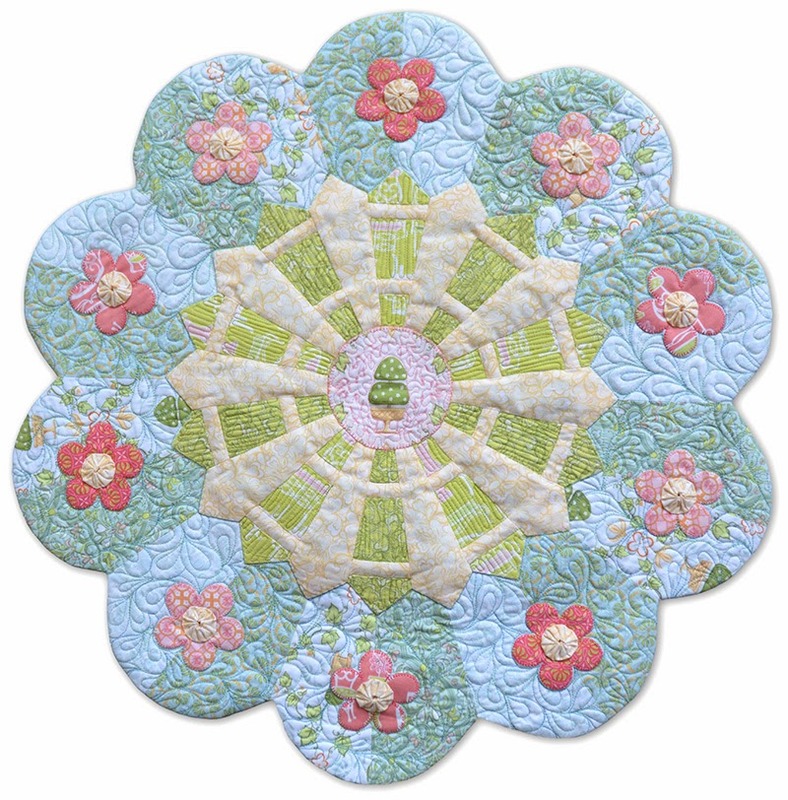 Your quilting is just gorgeous in the adorable table topper!